Location was excellent - room was small but well equipped. Would have liked some grab bars for the shower. The staff is great, the room has everything you need. It’s very convenient, the bar is wonderful. Only small draw back is some of the views from the rooms are not very attractive or appealing to the eye. Location worked perfect for us, walking distance to the Glocester station and Harrods shopping and Hyde Park! We liked the location, close to two underground stations and a nice street- Queensway-, and Kensington Gardens and Hyde Park. 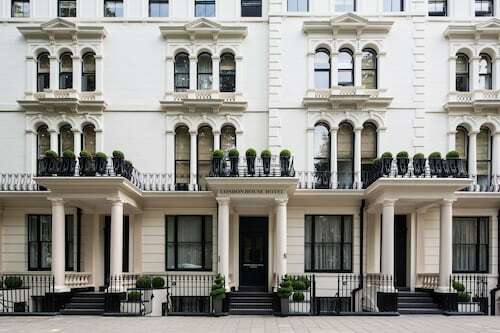 Right on the edge of Hyde Park and Kensington Gardens but still within an easy walking distance to Paddington Station. Hyde Park is only a stone's throw away and the underground train stations are within walking distance as well. Walking distance to Hyde Park which is a great way to spend an afternoon, with a picnic basket from Paul's. The Cleveland was a beautiful hotel, conveniently situated close to Hyde Park, so that we could walk through the Park to the various places we wanted to go. Hyde Park is located in a vibrant area of London known for its stunning architecture and top museums. 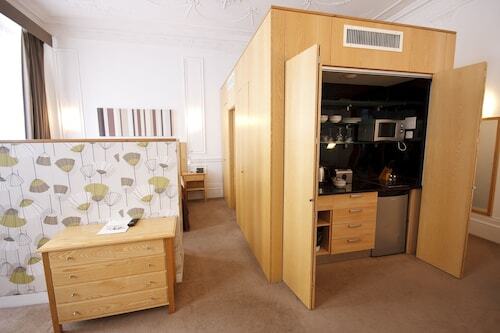 London is home to 7804 hotels and other accommodations, so you can find something that's perfect for your stay. 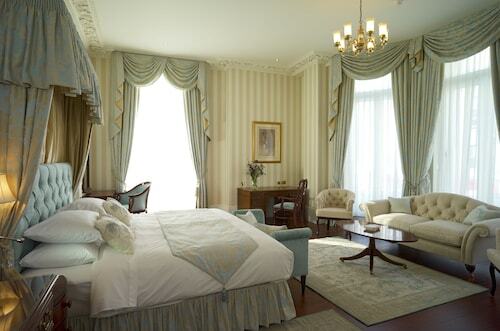 Thistle Kensington Gardens: This 4-star hotel features a restaurant, free WiFi, and a bar. It's a favorite with Expedia travelers for its bar and comfortable, quiet rooms. Central Park Hotel: With a stay at this 3-star hotel, guests can enjoy access to a restaurant and a bar, along with free WiFi. Our customers like its bar and overall value. The Westbourne Hyde Park: With a stay at this 4-star hotel, guests can enjoy access to a bar and conference space, along with an in-room kitchenette. It's a favorite with Expedia travelers for its dining options and proximity to the airport. Now that you've visited Hyde Park, you can explore the sights within a few miles of the area. Victoria and Albert Museum, Natural History Museum, and Kensington Palace feature captivating exhibits. Some landmarks that you won't want to miss include Marble Arch, Royal Albert Hall, and Baker Street. You can watch performances at Royal Court Theatre, Piccadilly Theatre, and Prince of Wales Theatre if you're interested in local theater. Harrods, Green Park, and Imperial College London are a few additional nearby sights. Oxford Street is also located 1 mi (1.7 km) from Hyde Park, and Buckingham Palace is 1.1 mi (1.7 km) away.